The Newseum's main claim to fame is their exhibit of large intact pieces of the Berlin Wall and I'll posts photos of that in a little while. 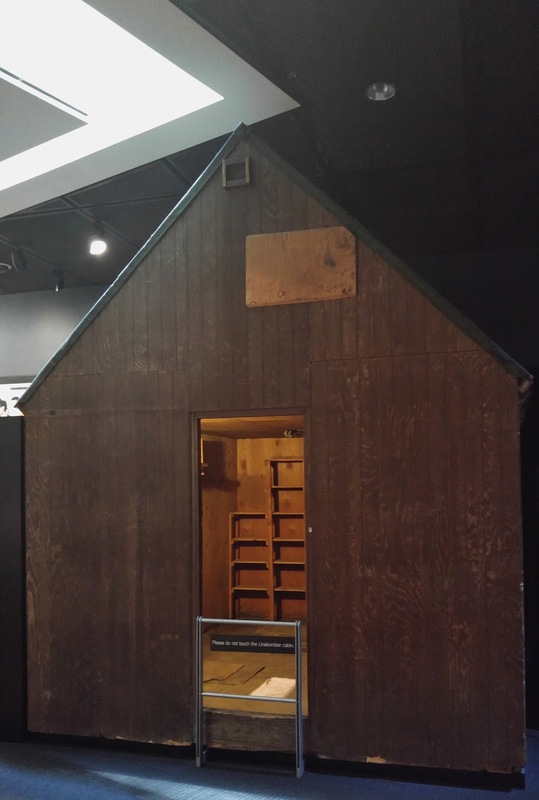 They also have an extensive display about many famous cases in FBI history. 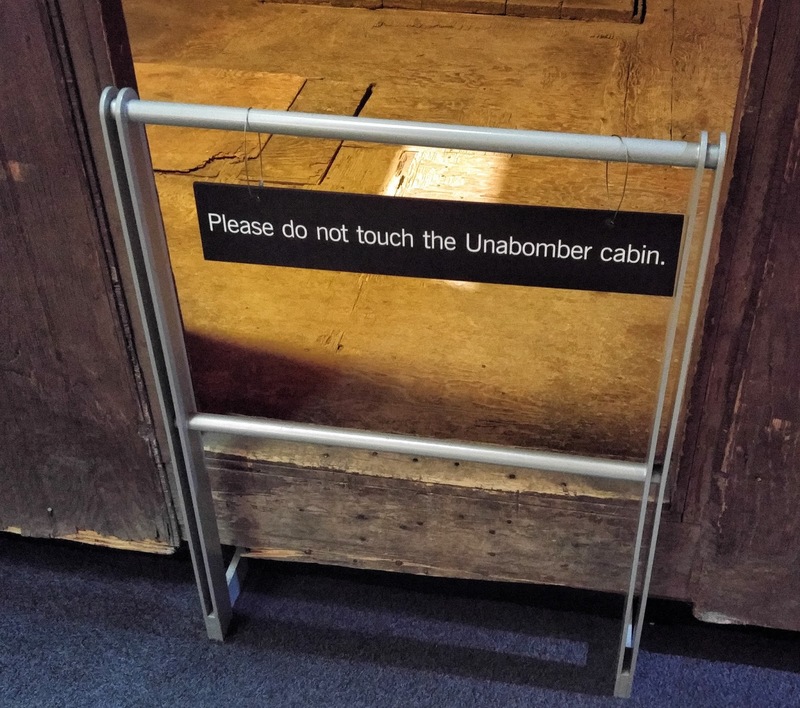 They have things about the Lindbergh kidnapping, the Soviet spy Robert Hanssen, and after coming around a corner you are greeted to his sign. I enjoy taking photographs of odd signs and that one is going to be hard to beat. 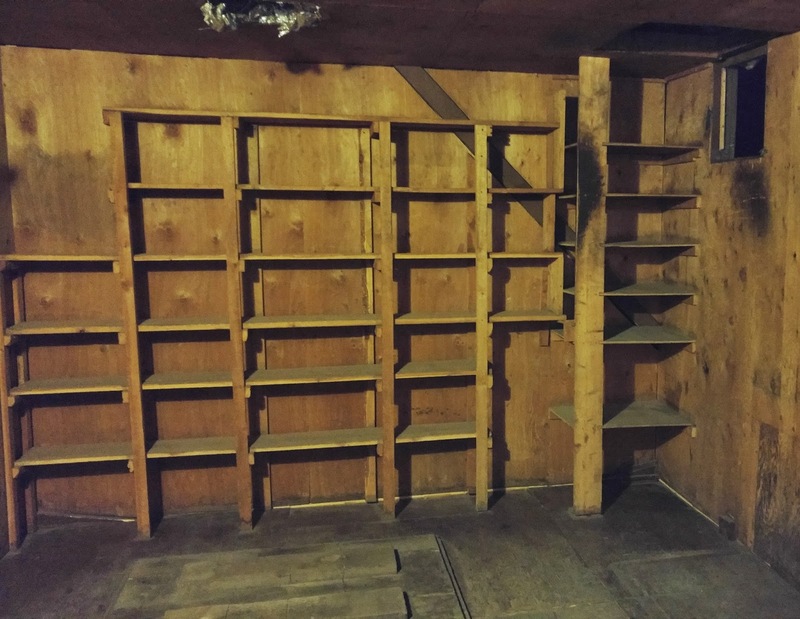 Taking a step back, you realize you are standing next to a wooden shed that wasn't much bigger than a large living room. You may have seen it before too if you have ever been the coverage of the Unabomber case and his capture in Montana. 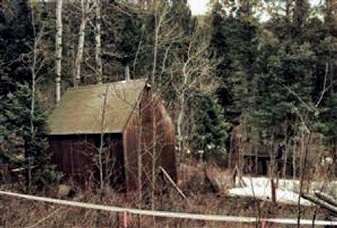 Here's the shed as it was during the time of Ted Kacysnski's capture in 1996. 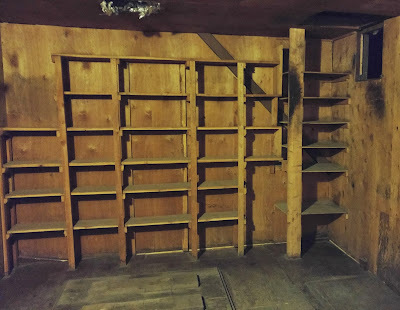 The inside offered a lot of book shelf space and it makes me reconsider a little bit my love of our wall-to-wall bookshelves.